Mahindra is going to accost the special edition of Mahindra Thar which features ABS (anti-lock brakes). 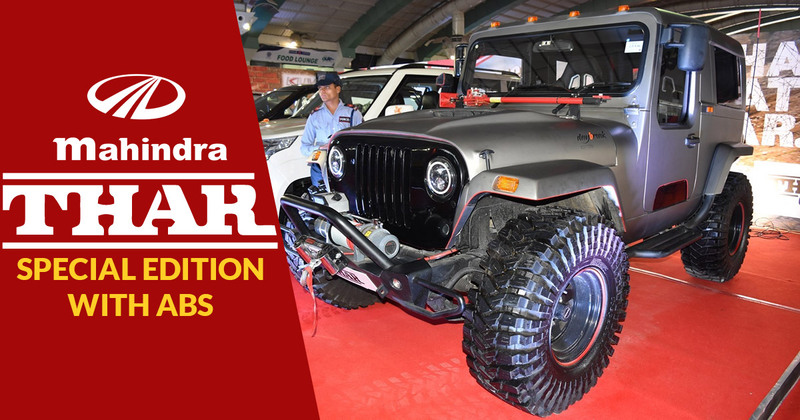 This is the first time that Mahindra Thar is accompanying the ABS technology, in its special edition: the final version of the SUV in its current generation variant. The Mahindra will soon discontinue its current avatar Mahindra & Mahindra that received a mid-life facelift in 2015 because of its non-compliance with the crash-test regulations that will strictly be applicable from October 1, 2019. The name of the special edition has not been announced yet, but one feature that no other Thar has had so far is for sure to come in this final version which is an anti-lock brake or ABS, to meet the upcoming crash-test regulations including the safety norms and BS-VI regulations. The special Mahindra Thar is likely to come only in the top-spec CRDe engine option. Other features which distinguish it from other standard cars include a set of decals on the exterior and different interior package with optional extra bits. The special edition of Thar is going to come with a set of alloy wheels as part of standard equipment. The next-gen Thar is likely to be bigger, more powerful, more fuel economical and more comfortable. The final special edition is like refined current-generation Thar in its traditional MM540-akin design blended with ABS tech. It will launch in 2020 with a more potent 140hp 2.0-litre engine mated to a 6-speed manual gearbox. The upcoming car will have safety features of rear parking sensors, a speed warning and airbags ( lacking in the current generation). 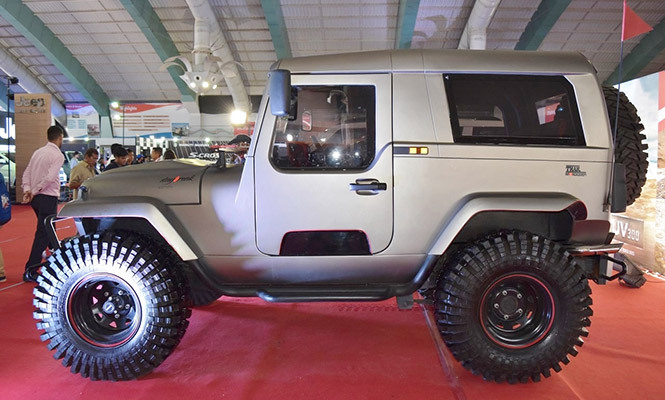 The new Thar will inherit features from Mahindra’s Gen3 Chassis that is imitated from the likes of the Mahindra TUV300.